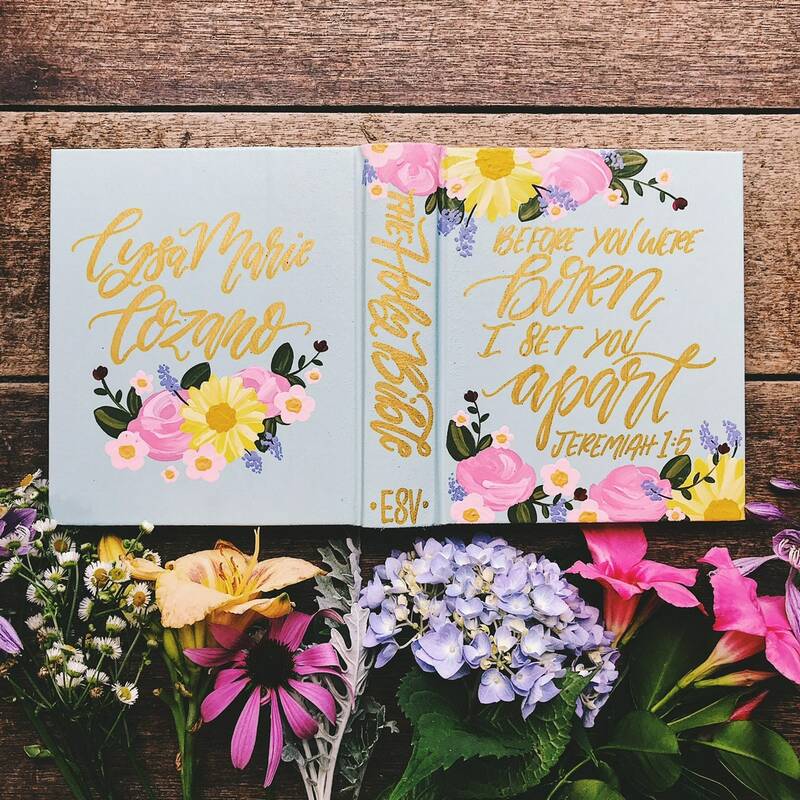 Introducing hand painted Catholic bibles by The Hipster Housewife! 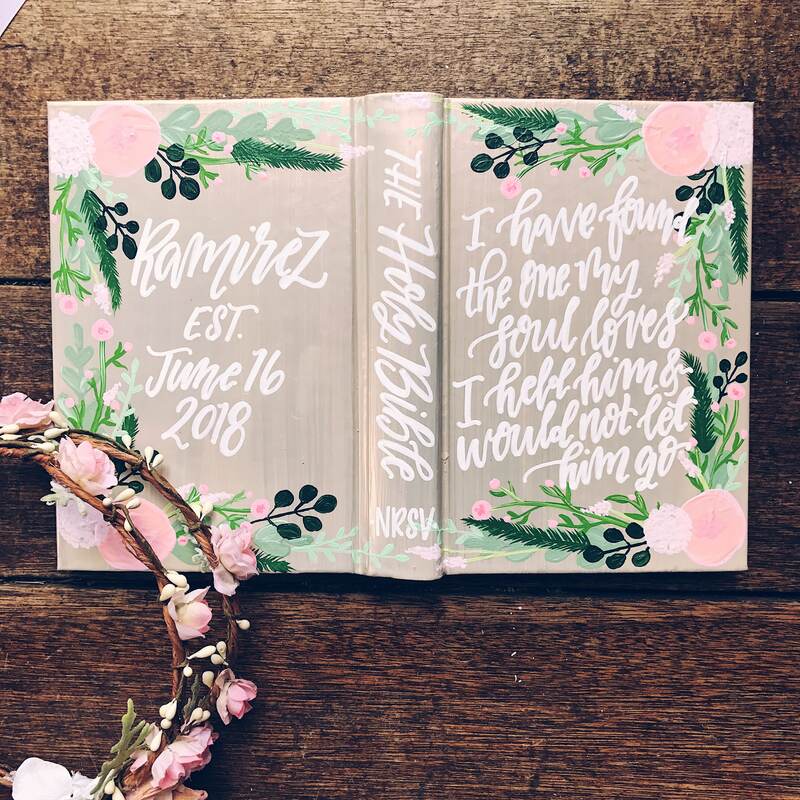 This is something you guys have been asking about for quite some time, and I am super pleased to be offering these custom bibles. 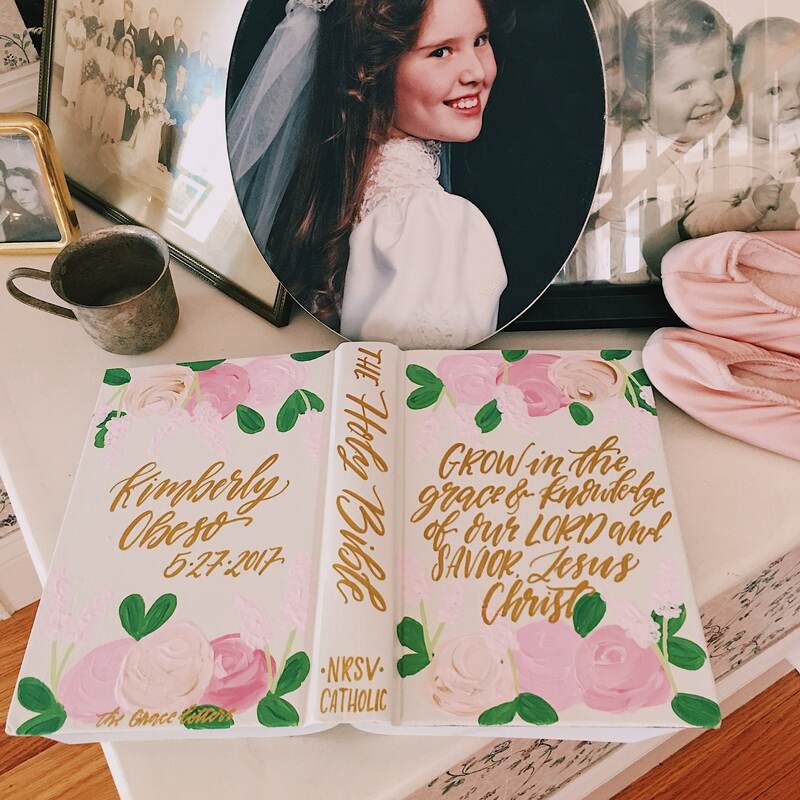 They make the perfect gift to give your Goddaughter at her first communion, or a new believer at their baptism! 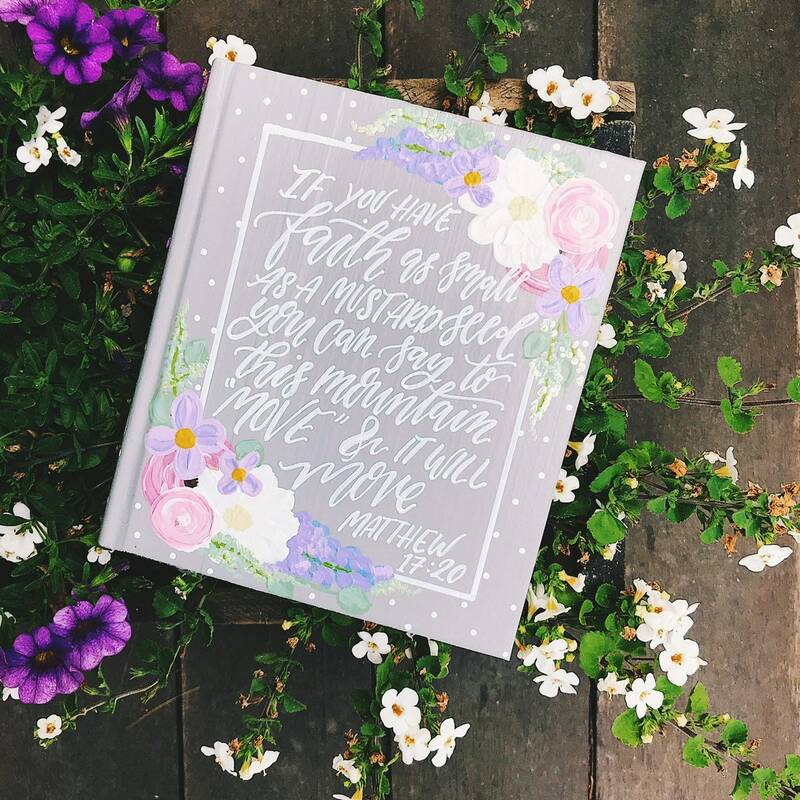 These work great as Confirmation gifts as well. 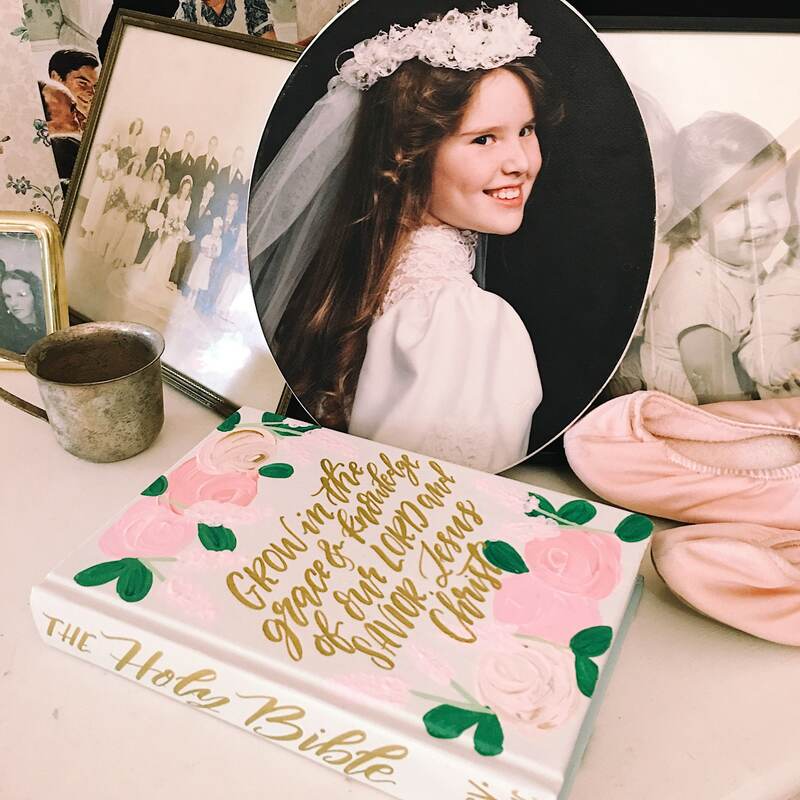 Really any occasion that would call for a Catholic bible, a wedding, anniversary, you name it! 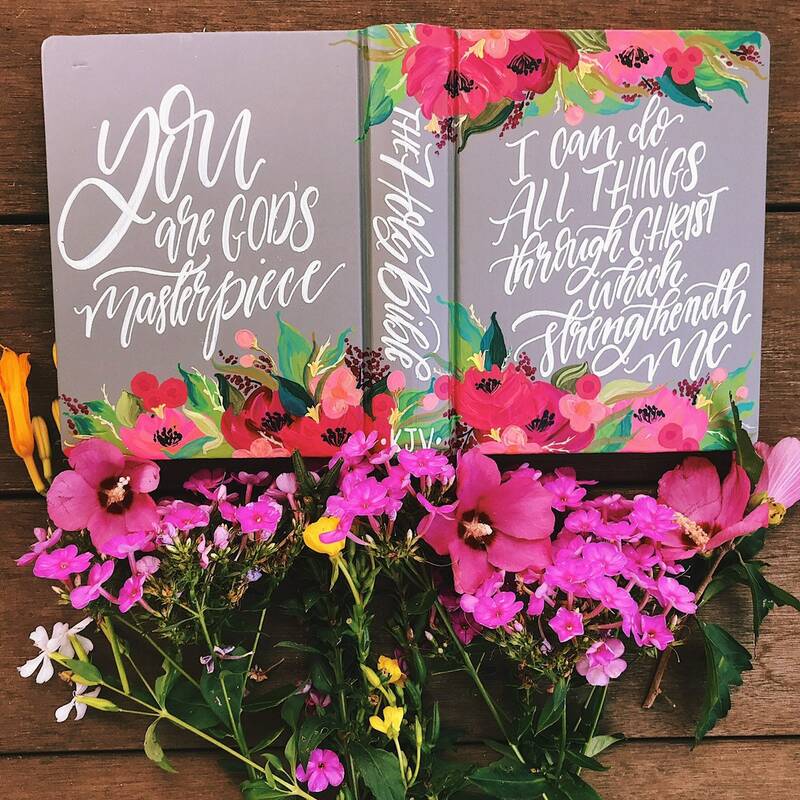 Each one of these bibles are unique and one of a kind, just like the person they are made for. 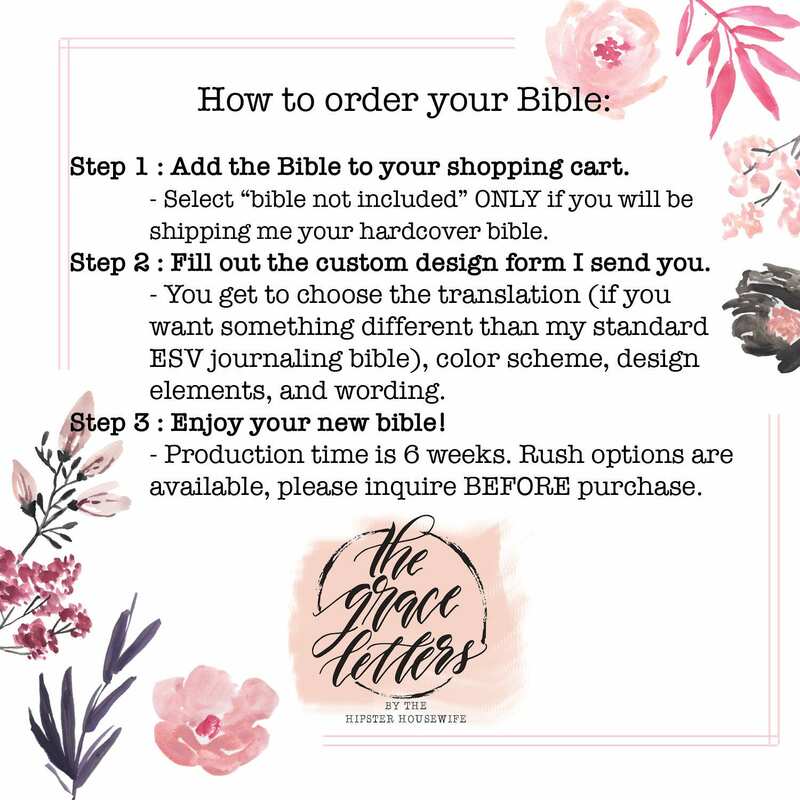 I provide a NRSV Catholic bible, but if you have a different translation in mind please just ask before purchase. 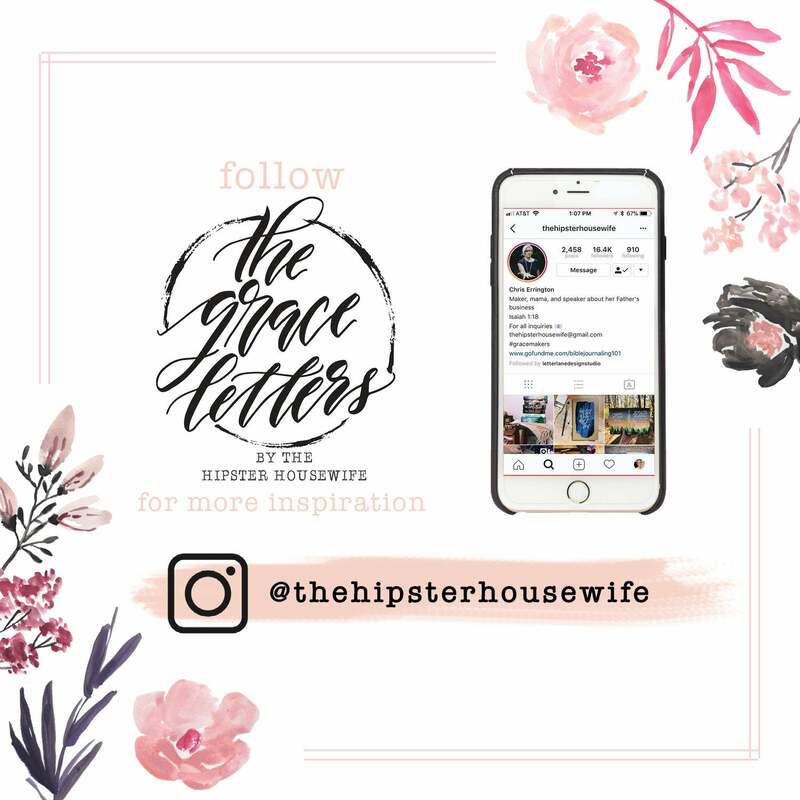 Once you purchase the listing, we will work together on a color scheme and and any details you would like to include, along with the scripture of your choosing. I will contact you within 24 hours after purchase (usually within minutes, but I am just being safe!) 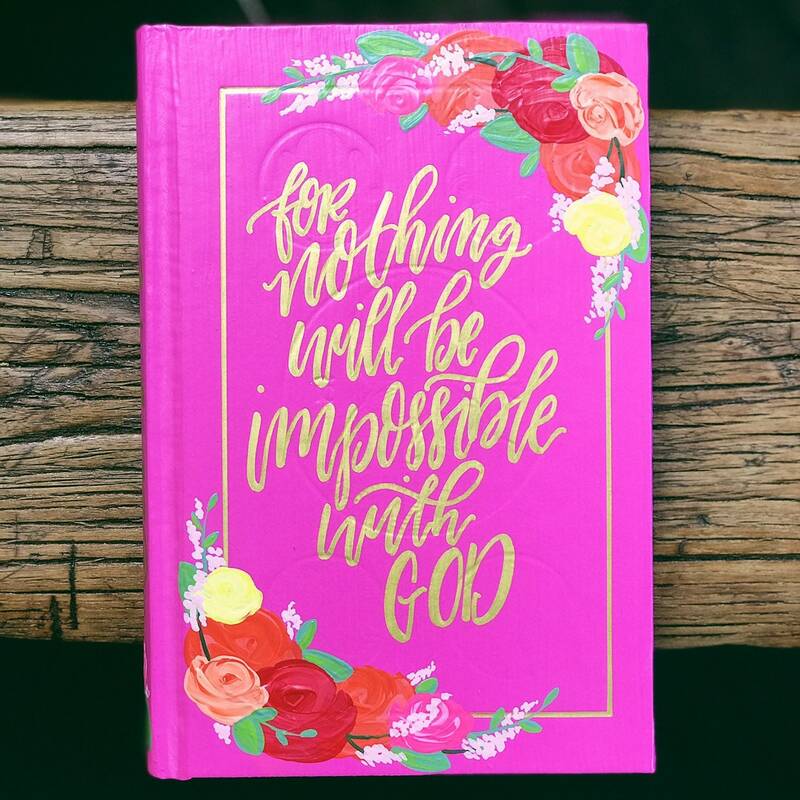 and we can collaborate on the bible to match your vision. 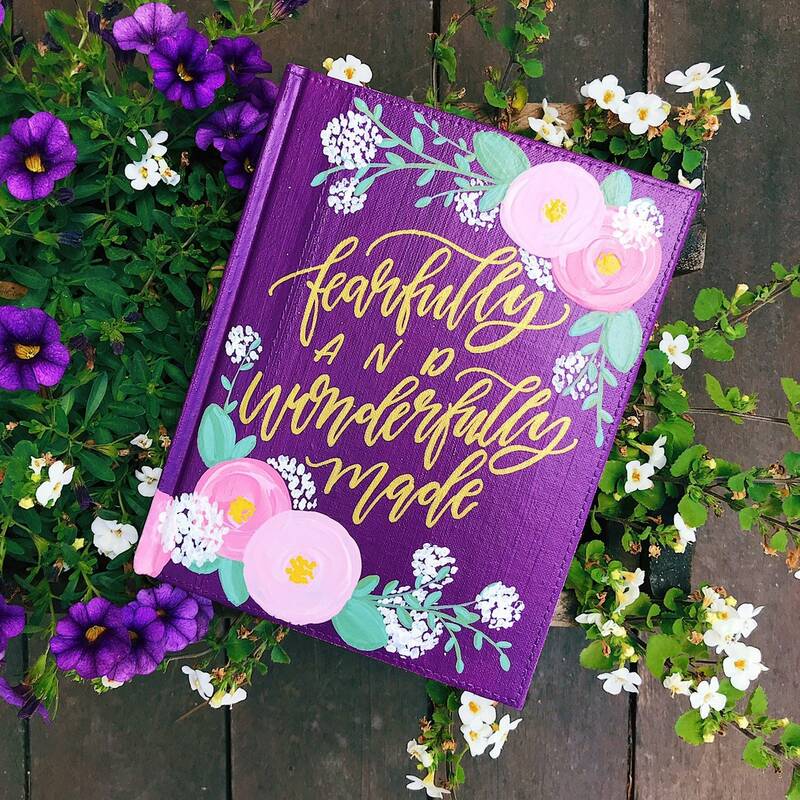 This is YOUR bible, and I want you to play a part in creating it!